The peppery taste of watercress is complimented with the coolness of cucumber and the richness of avocado to make this easy salad delectable. Try this salad with Creamy Garlic Dressing. Watercress is highly nutritious and a great source of iron, calcium, folic acid and vitamins A and C.
Wash, trim and dry watercress. Slice avocado in half, remove the pit and slice the halves while the the flesh is still in the peel. Scoop the slices out of the avocado using a spoon. 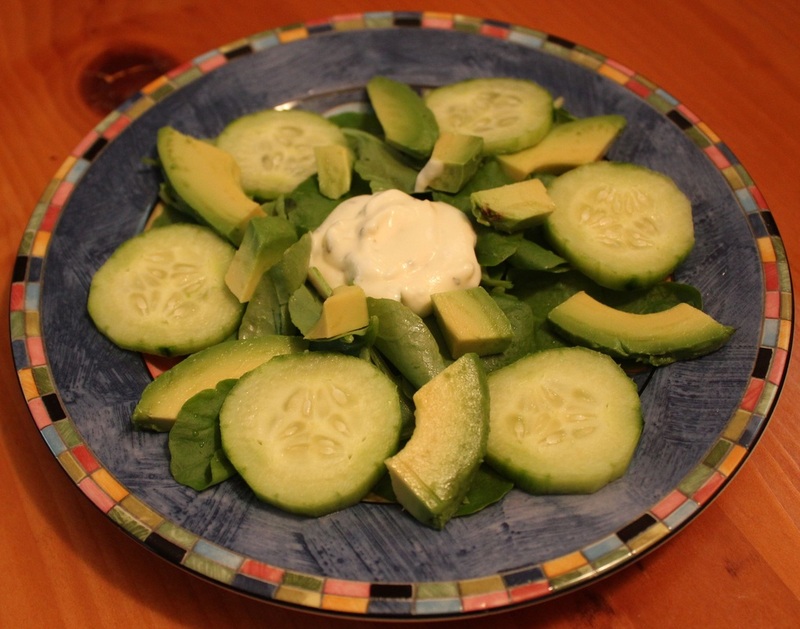 Place watercress on plate and arrange cucumber and avocado on plate. Top with 1 tablespoon dressing.